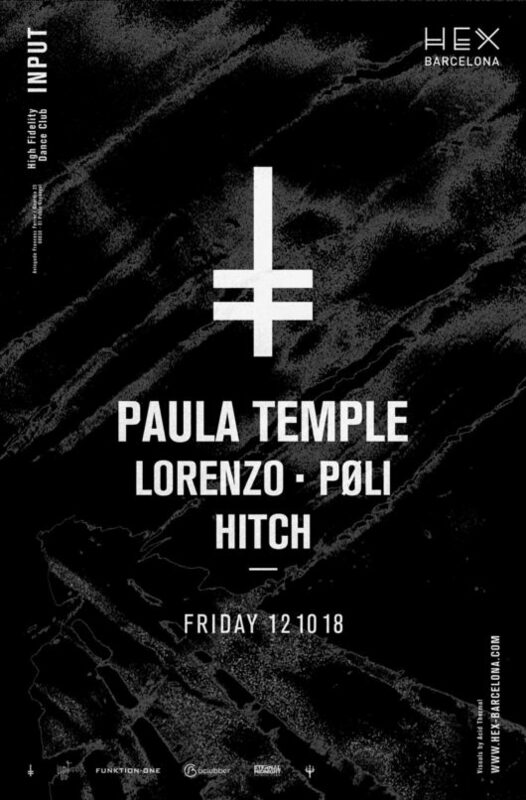 On October 12th, we’ll have the pleasure to host for the very first time at HEX the english talent Paula Temple. After making her recording debut in 2002 with an EP titled “The Speck of the Future” which received the attentions of Jeff Mills and that has been included on his 2004 mix CD Exhibitionist, Paula never stopped growing and demonstrating her skills in the studio and on the decks. 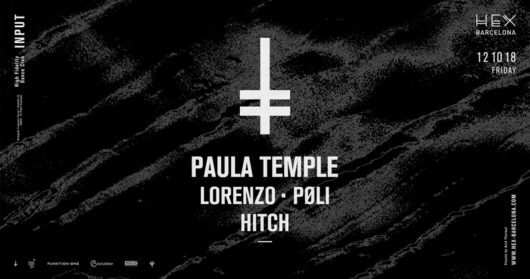 The two co-founders and resident artists of HEX, PØLI and Lorenzo will represent the most radical HEX style; next to them there will be Hitch, resident artist at Input. Input has recently been defined as the most sensational Techno club of Barcelona. This 2 floors venue offers a full view of the whole space which is made by a huge circular led screens structure and one of the best sound system of the city, powered by Funktion-One.